Sherwood® innerspring mattresses combine exceptional support with the pressure relief joints need to heal as you sleep. Every Sherwood® model is constructed of higher quality materials selected for their longer comfort life and improved safety profile. Defined by their consistent edge-to-edge support, Sherwood® mattresses feature an innovative open spring design that provides up to 21% better support than conventional innerspring mattresses. High-density, gel-infused memory and upholstery foam, are just a few of the premium comfort layer materials you can expect from Sherwood® mattresses. 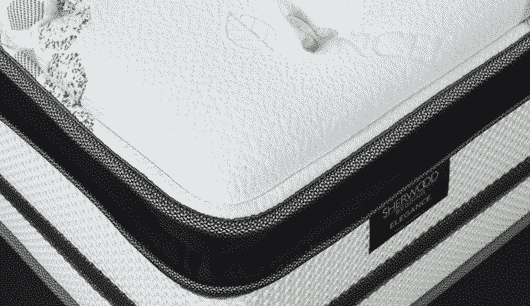 All memory foams are not created equal.  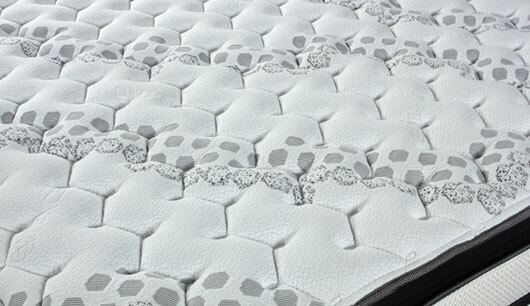 Lower cost, lower density variants of this popular material do not provide the same conforming support or pressure relief as the premium, open-cell memory foam used in our EvoSleep® line. Additionally, a unique manufacturing process provides natural ventilation that helps equalize temperature through increased breathability. 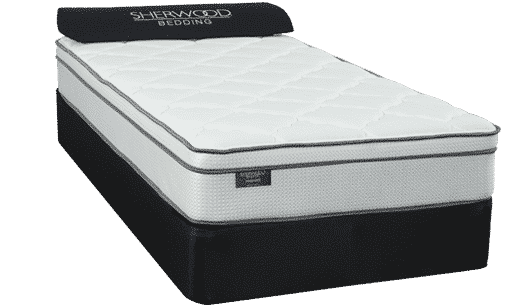 High-density cushioning materials are used to increase durability and provide conforming comfort and superior support. Naturally derived from the milk of the tropical rubber tree, gel-infused memory foam provides the ultimate natural pressure relief. 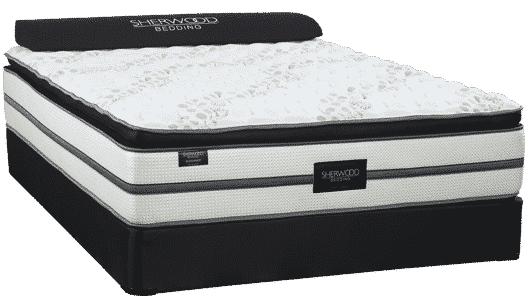 In addition to its exceptional comfort, gel-infused memory foam is also naturally hypo-allergenic, dust mite resistant, and breathable. 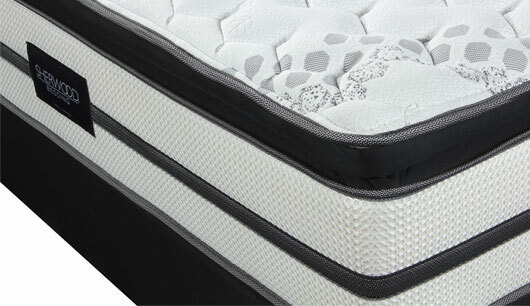 The Premier Series of mattresses are engineered to deliver durability and support. 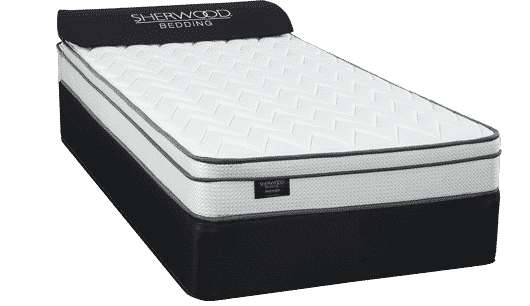 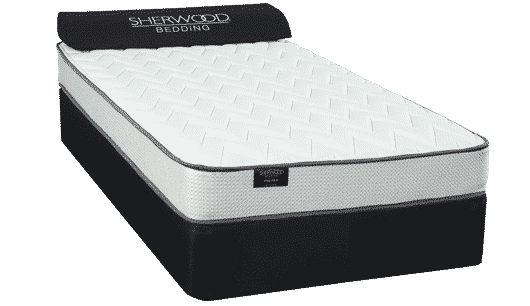 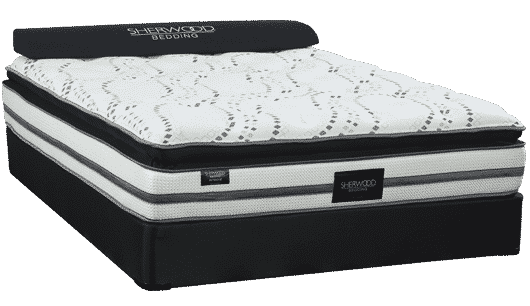 Sherwood Bedding utilizes an advanced double offset coil support system which is designed to deliver firm, conforming support. High-density, upholstery grade foams are carefully layered with an ascending support strategy that delivers quality, comfort, and durability. The Premier Series of mattresses are available in Promo, Freedom Top, Luxury Firm, Pillow Top, Big Plush, Big Pillow Top, and Euro Top models. 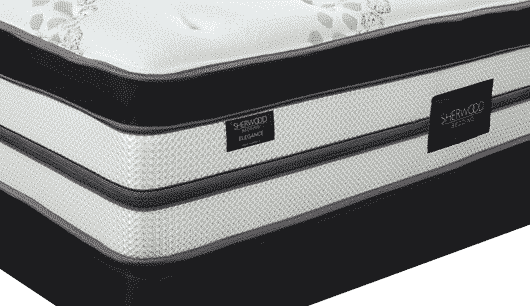 The Premier Series of mattresses are engineered to deliver comfort, support, and durability. 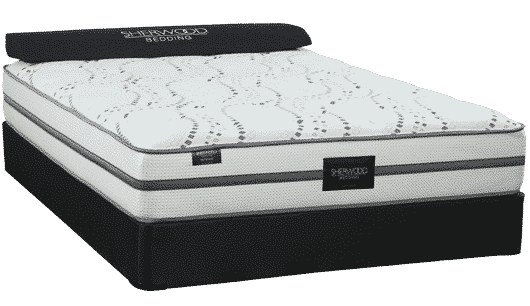   Sherwood Bedding utilizes an advanced double offset coil support system, designed to deliver firm, conforming support. 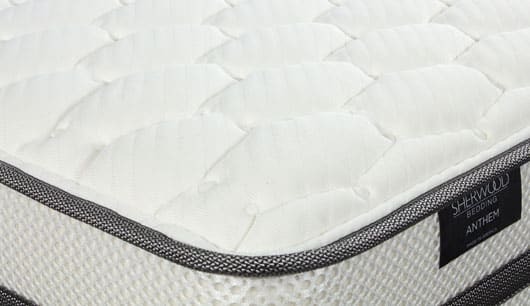 The sophisticated “circular knit” panel covers are used to enhance the surface for conformability, comfort, and durability. 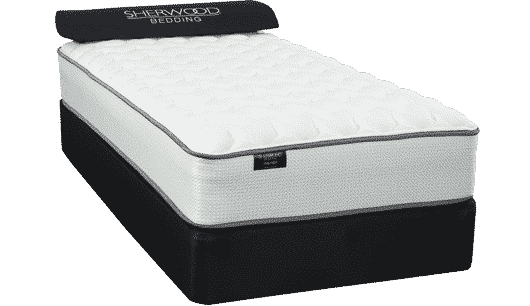 While the high-density upholstery grade foams are carefully layered with an ascending support strategy to deliver the perfect firmness. 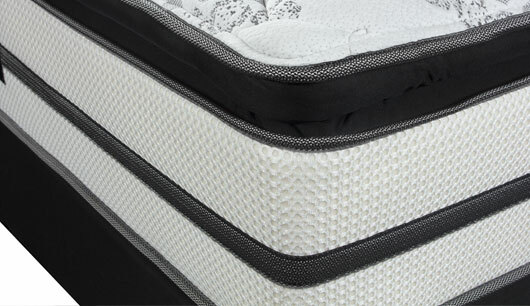 The Intrigue Series of mattresses are engineered to deliver deep conforming comfort, durability and value. 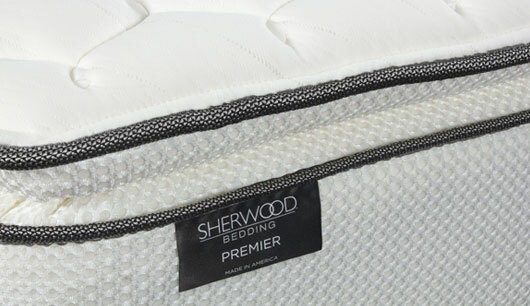 Sherwood Bedding utilizes an advanced double offset coil support system designed to deliver firm, conforming support. 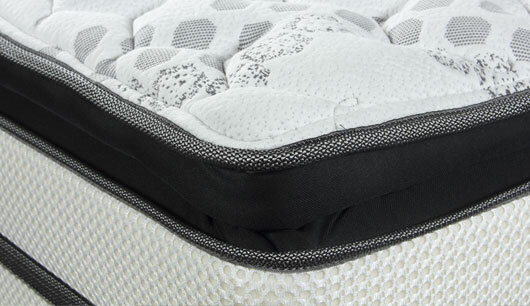 All Intrigue models feature full foam encasement which delivers superior edge performance and overall mattress stability, as well as increasing the usable sleep surface by 14%. 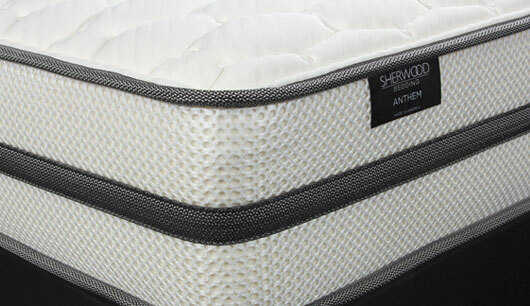 Heavy weight natural Tencel® “circular knit” panel covers are used to enhance surface comfort and plushness. 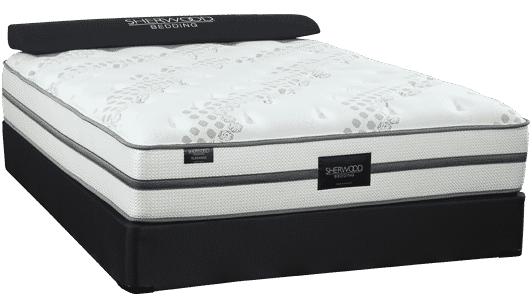 The soy-based upholstery grade foams and gel infused memory foam are carefully layered with an ascending support strategy to deliver quality, comfort and durability. 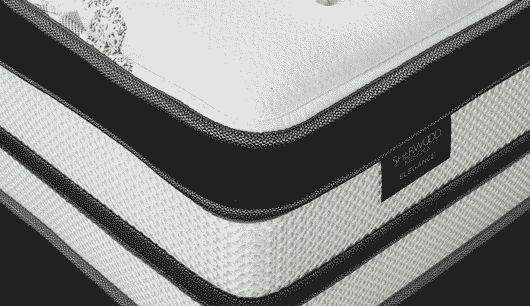 The Intrigue Series of mattresses are available in Luxury Firm, Plush and Pillow Top models. The Elegance Series of mattresses are available in Extra Firm, Luxury Firm, Pillow Top, Super Plush, Euro Top and Super Jumbo Pillow Top models. For comfort that lasts at an unbeatable price, experience a SherwoodⓇ.